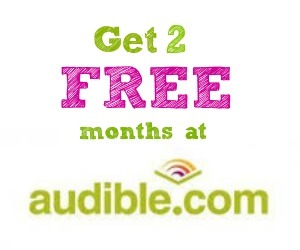 If you’ve always wanted to try Audible, here’s your chance with a FREE Audible subscription for 2 months! Click on this offer from Living Social and follow the instructions for redeeming your FREE offer. Please note that after two months, you can cancel your subscription or keep your Audible account for $14.95 per month. This is a great way to listen to books on the go and you can go through books much quicker no matter where you are. It’s a nice way to entertain yourself or your kids while you’re driving.